The Certified Information Systems Security Professional (CISSP) certification training in Delhi is considered the gold standard in the field of information security. Organizations nowadays acknowledge CISSP certification for most of the IT security roles. This CISSP training is aligned with (ISC)² CBK 2018 requirements and its certification are considered the gold standard in the information security domain. You will gain the skills to become an information assurance professional with the ability to defines all aspects of IT security, including architecture, design, management, and controls. The CISSP certification training in Delhi helps you gain knowledge of the globally acknowledged standards of Information Security and how to use them to define the architecture and to design, build, and maintain a secure business environment for your organization. The course gives you an experience of the industry’s recent best practices which is valuable while preparing for the CISSP exam. The course is also aligned with the requirements of (ISC)² CBK 2015. With organizations susceptible to security breaches, there is a growing demand for skilled IT security employees. It is reported by Frost and Sullivan that by 2019, there will be a shortage of 1.5 million security professionals. What skills will you learn in this CISSP training course? Acquire the relevant knowledge and skills required to pass the CISSP certification exam. Develop working knowledge in the 8 domains prescribed by the CISSP Common Book of Knowledge, 2015. Earn the requisite 30 CPEs required to take up the CISSP certification exam. Be able to define the architecture, design, and management of the security of your organization. Who should take the CISSP training in Delhi? Candidates need not to complete any project during the course. What types of jobs can benefit from a CISSP certification? What are the career benefits of the CISSP Certification? Knowledge of eight important security areas ranging from access control to software development. What is the average salary for a Information Security Engineer in Delhi? The average salary of the Information Security Engineers in Delhi, according to PayScale is Rs 1,751,580 a year. Individuals who have undergone a CISSP®- Certified Information Systems Security Professional program will have an increased earning potential. Which companies are hiring Information Security Engineers in Delhi? How do I become a CISSP certified professional? Candidates need to appear for the CISSP exam at any of the test centers of Pearson VUE present worldwide. He can become CISSP certified once he clears the CISSP computer-based test (CBT). What are the prerequisites for CISSP certification? The CISSP Certification from ISC2 requires the candidates to have a minimum of 5 years of full-time work experience in 2 or more out of 8 CISSP – CBK 2018 domains. An ISC2 associate title will be offered to the candidates who do not have the minimum experience. Once they acquire the required experience, they can submit its proof and get their certificate replaced with the CISSP certificate. The CISSP certification training in Delhi gives a career boost to the candidates in the domain of Information Security. Participants need to finish 85% of the course and pass a simulation test with at least a 60% score for Online Self-Paced learning. For Online Classroom learning, participants need to attend one complete batch and pass a simulation test with at least a 60% score. What is the passing score for the CISSP Certification exam? The minimum passing marks for the CISSP exam is 700. How do I fill out and submit the CISSP application form online? Review exam availability by credential. Create an account in the Pearson VUE website and check the Pearson VUE NDA. Location of the test center needs to be selected next. Then select the time slot. 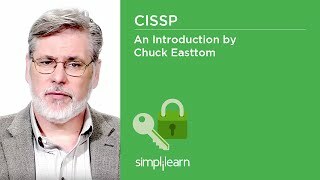 How many attempts do I have to pass the CISSP exam? You will have three attempts to pass the exam in a calendar year. In case the candidate does not clear the CISSP exam in their first attempt, they will have to wait for a period of 30 days before re-attempting the exam. If the candidate fails to clear the exam in the second attempt also, they will have to wait for 90-days before taking up the exam again. If the third attempt to clear the exam was also not successful, then the candidate will have to wait for 180-days before re-appearing for the exam. Candidates will not be allowed to take up this exam more than 3 times in a 12 months period. How long does it take to receive the CISSP Certification exam results? The result of CISSP Certification exam is declared within 2-4 weeks. How long is the CISSP Certification valid for? The CISSP Certificate has 3 years of validity. If I fail the CISSP Exam, how soon can I retake it? If you don’t pass the exam the first time, you can retest after 30 days. If I fail in the CISSP Exam, can I apply for re-evaluation? 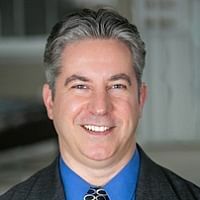 No, the CISSP exam is not subject for re-evaluation. I have passed the CISSP Certification examination. When and how do I receive my certificate? The electronic copy of the certificate will be emailed to the candidate 4-6 weeks after he gets the mail of his exam result. Are the training and course material effective in preparing me for the CISSP exam? Simplilearn ensures that a Global Learning Framework and a hands-on learning approach is used to train the learners for passing the CISSP exam. They can clear the exam in their first trial with Simplilearn’s training and gain knowledge that is useful even after the exam. If the candidate misses a class, Simplilearn gives access to recordings of each class for reference. For a time of 90 days, candidates having Flexi-pass can access 15 sessions of the CISSP training. The precise syllabus, quality of webEx app, the quality of trainers and the ease of use of Simplilearn website... Highly satisfied. I loved the course on CISSP® - Certified Information Systems Security Professional from Simplilearn. It was concise, comprehensive and easy to follow. Their videos, live sessions, and exams are excellent. I had enrolled Simplilearn software security course CISSP® - Certified Information Systems Security Professional certification. It has been excellent as it covers all the bases from study material to Q&A's, all with the convenience of preparing from home, through online. Their material is amazing and is highly competitive cyber security course. I would recommend Simplilearn for preparation of any IT software based competitive exam. Simplilearn has been a great learning platform for me. I had enrolled for CISSP and my expectation was met, with the expertise the trainer had on the concepts. I look forward to doing more course with Simplilearn. One of the interesting and interactive sessions I have ever attended. The course content is very good and satisfactory. The trainer is also good with his teaching abilities. Training was up to the mark, solved my purpose of joining the course, a kick-starter to exam preparation and getting the basics right. The training was nice and to the point. The trainer was nice and helpful. He cleared all our course-related doubts. Scenario based examples with elaborate details when required. Very strategic and useful way of teaching. It was a very good and informative training program conducted by Simplilearn. Excellent training; the trainer is having in-depth knowledge in all domains. He was able to map his experience with real time examples while delivering sessions. The training was very helpful to understand CISSP topics. What is the average salary for an Information Security Engineer in Delhi? A median salary of Rs 1,400,000 per year can be earned by an Information Security Engineers in Delhi, as per the survey conducted by Payscale. Professionals who undertake CISSP®- Certified Information Systems Security Professional training program can earn even more. Professions who are proficient in Cyber Security are in rising demand in Delhi. Some of the companies who provide such job opportunities are DOISS, Kaspersky, Dream B, Action For India, Value First Digital Media, and Deloitte. Simplilearn’s trainers for CISSP training in Delhi are not only CISSP certified but also have 16+ years of relevant working experience. What certification will I receive after completing the CISSP training in Delhi? Simplilearn awards the course completion certificate and 32 hours CPE's certificate to those candidates who complete the CISSP training in Delhi. How does online classroom training work? Simplilearn hires trainers who are CISSP certified and have 16+ years of working experience as well. These trainers conduct the classes via live online video streaming. The learning experience of the candidate is further enhanced by the presence of a global audience during the class. Simplilearn provides two modes of learning for the CISSP course. For self-paced e-learning, the candidates are provided with pre-recorded videos. With Flexi Pass learning, the candidates have the benefit of live online training as well as pre-recorded videos. Headset, speakers, and microphone: Headphones or speakers are required to listen to the instructions clearly, along with a microphone to talk to others. What else will I receive as part of the CISSP training in Delhi? Simplilearn’s CISSP training in Delhi comes with e-learning course material, simulation tests along with tips and tricks videos. They are designed to help you solve the exam questions easily. As cross-reference to the e-learning segments, we also provide an online participant handbook to enhance your understanding of the concepts. Is the CISSP exam fee included in the course fee? No. The exam fee is not included. You can directly schedule your exam through www.pearsonvue.com to schedule the exam. How many questions are there in the CISSP certification exam? Having an adaptive testing platform, the CISSP exam consists of 100-150 multiple choice questions that are to be answered in 3 hours. What is the cost of CISSP certification exam? The cost of the CISSP exam voucher is $699. Do you provide assistance in the exam application process? Queries regarding the exam application process can be asked at community.simplilearn.com. It is the platform where we can provide help with the course as well. How does Simplilearn assure me that the training and course material delivered is effective? Simplilearn’s course material is the most appropriate for the candidates to reinforce their learning beyond the CISSP exam. The practical learning approach helps the candidates to qualify the exam successfully. After deducing the administration fee, the remaining course fee will be refunded on cancelling the enrollment. Please go through our Refund Policy to find out more. You can use the Contact Us form available on our website to remain in touch with us. We also provide a Live Chat option which is active 24/7 for customer assistance regarding CISSP course. Simplilearn follows a strict selection process for CISSP trainers involving profile screening, technical evaluation, and live training demo. Individuals after passing this process are allowed to mentor our candidates. We make sure that our CISSP trainers have 16+ years of work experience, including 10-12 years of teaching experience. We always strive to provide the best teaching assistance so that the participant gets certified in their first attempt. The domain experts engross the participants in the proper flow of the course learning. From class onboarding to project mentoring, our trainers try to enhance your learning experience. Teaching assistance is available in working hours. Simplilearn intends to provide complete support to its customer regarding all of their issues with the CISSP course. The customer support team is available 24/7 for the participants via calls, chat, or email. We also provide a community forum which comes with lifetime access and participants can get any kind of support on this platform. Considered the gold standard in the IT security field, CISSP is designed to train people in the field of information assurance. In this course, professionals will learn to define all aspects of IT security. Aligned to the (ISC)² CBK 2015 requirements, this course is extensive and result-driven. Professionals who take this course will be able to identify weak spots in IT infrastructure and mend them before an attack. Certified security specialists have the potential to earn up to 16 lakhs a year and are in demand globally. If you’re seeking a CISSP certification training in Delhi, Simplilearn’s blended learning delivery model combines the convenience of self-paced online training with the personal motivation of live virtual classroom instruction, the reinforcement of relevant practical projects and the support of 24/7 live teaching assistants. Our CISSP course in Delhi is crafted by experts to help you prepare for and pass the CISSP certification exam on your first attempt. This training program provides hands-on experience and gets you ready for security specialist roles in the industry. Simplilearn understands that a CISSP Certification Training in Delhi is not just a milestone but the start of your journey on the path of continuous improvement. Make the most of your current or future security specialist career with an intensive training course for CISSP certification training in Delhi from Simplilearn.